We've designed this class for you if you want to be baptized. We offer this class to Christians who want to know what Lutherans believe. We created this class to help believers who want to re-ignite their faith in Jesus Christ. It is 8 weeks on Sunday mornings from 9:30am - 10:30am. Childcare is available (free) for this class. After you complete the class you will be invited to become a part of Faith Family. (Connecting to Faith is our membership class). We've created it for you to get to know our Faith Family. It is a three-week class (on Sunday mornings) for adults who want to connect and become a part of our Faith Family. What does it mean to be a member of Christ’s church family and part of the Faith Family? How do I get connected with others socially, to continue growing in my faith and serving my Faith Family and others? What can I expect from my Faith Family? 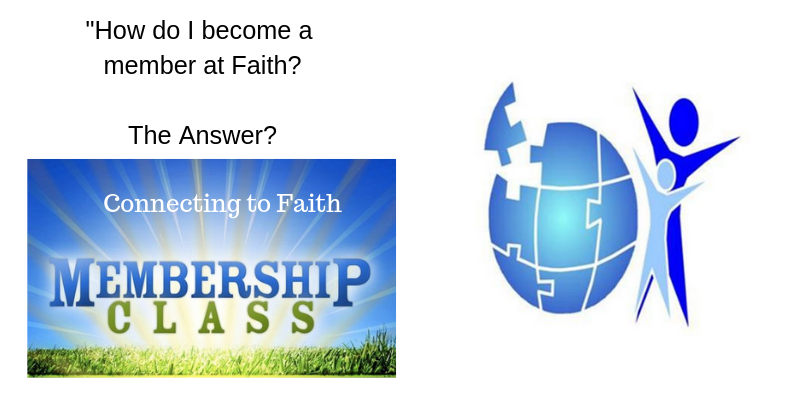 These and other questions will be answered in Connecting to Faith – Membership Class. The only requirements to attend are that you are baptized and have already confirmed your faith. 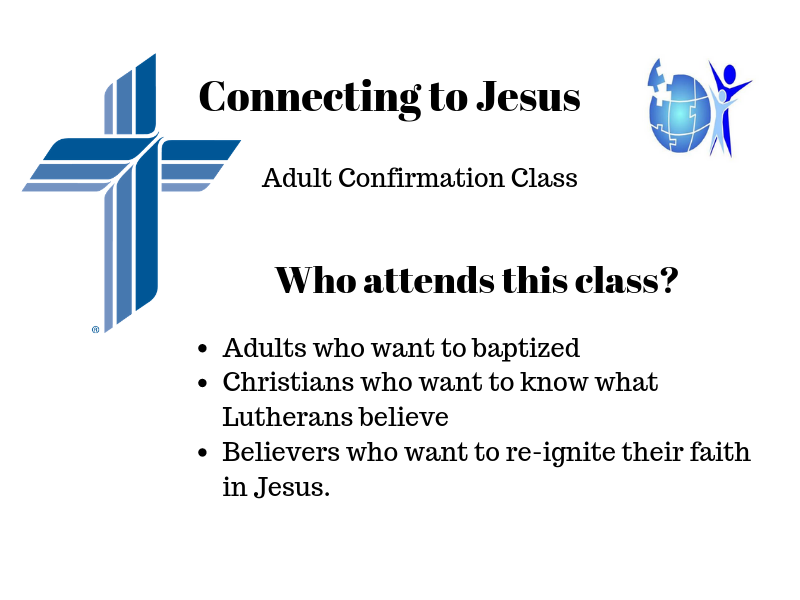 To register for our next class fill out the Connecting to Faith - Membership Class form (below). We are excited to welcome to our Faith Family!